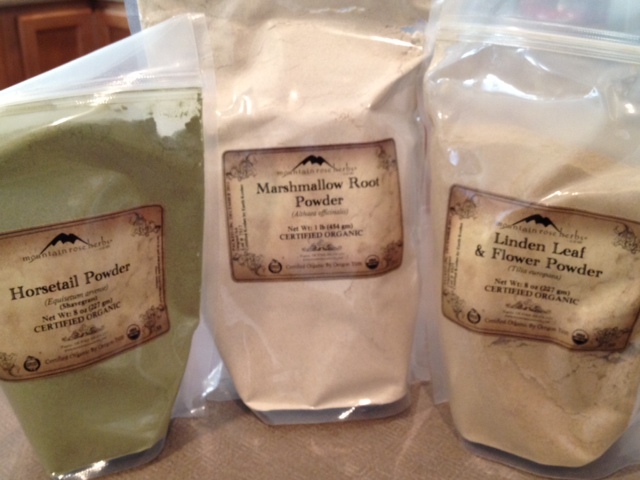 The rest of my order came today that includes horsetail powder (shave grass) and linden leaf flower powder. Both of these were in my clay wash and strengthen and condition hair. Linden is also circulation stimulating (promotes hair growth) and hydrating according to Milady’s. Marshmallow root is great for detangling and gives that wonderful “slip” to conditioners and leave-ins. I’ll be adding these to my next clay mix for hopefully even better results!